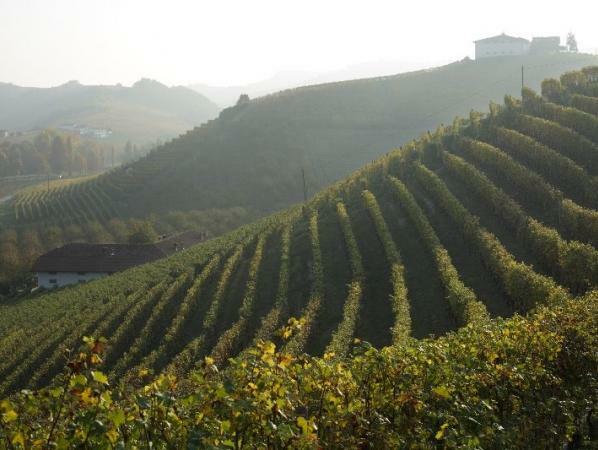 "The great traditionalist estate of Francesco Rinaldi e Figli is one of the greatest names in Piemonte. Located in the town of Barolo itself, the domaine of Francesco Rinaldi has a long and illustrious history in the region. Founded in 1870, when Francesco Rinaldi inherited a vineyard and house in Barolo, inducing him to leave behind his work with the very large Mirafiore estate and set out on his own. His family at that time also had ties to the then greatest estate in the Barolo region, Barale-Rinaldi. Francesco was the cousin of Giuseppe Rinaldi, and together these two superb family wineries have marched down through time side by side, both upholding the unique, traditional style of Barolo that has also been championed by other great names in Piemonte, such as Bartolo Mascarello and Bruno Giacosa. One hundred and thirty years later, much of the same techniques are still used in the Francesco Rinaldi cellars to produce some of Barolo's greatest wines. The current head of the family estate is the spry, nearly 90-year old Luciano Rinaldi, who took over the reigns of the family winery all the way back in 1941. Today he is ably assisted by his nieces, Paola & Piera Rinaldi, and they continue to make beautiful wines within the great traditions of Barolo, with no new oak, long macerations and long aging in large Slavonian oak botti prior to bottling. In fact, about the only thing that has changed here is that Luciano no longer crushes the grapes by foot himself, as a new press is one of the only nods to modernity in these great old cellars. However, all of the traditions that continue to be embraced here does not mean that this is a winery lost in the past, as their beautiful wines have never been better than they are today. While the estate of Francesco Rinaldi is most famous for its long-lived and brilliant Barolo bottlings made from two of the regions greatest vineyards, Brunate and Cannubi, the entire lineup of wines up and down the quality hierarchy are made with the same painstaking care and commitment to excellence. The lower level wines are superb examples of their genres, with impressive depth, complexity and classic structures, whether they be the deep Nebbiolo d'Alba made from younger vines not destined for the Barolo or Barbaresco bottlings, the tangy and red fruity Grignolino which drinks beautifully in its youth (a rarity amongst the cellar-worthy Rinaldi lineup) or the round, full-bodied and surprisingly serious Dolcetto d'Alba "Roussot"--from vineyards located within the cru of Cannubi."